DubRaJah is a project of Sergey Gabbasov, a Russian anthropologist and ethnomusicologist, specialized in the peoples of East Africa and Indonesia and student of “Dhow Countries Music Academy” (Zanzibar, Tanzania). He has made many ethnographical expeditions in different parts of Africa, Asia and Europe, produced several films about indigenous peoples and studied their native music. This is Sergey's first release on Dubophonic. “Enkang” means in the Maasai language “homestead” .Maasai is one of the very few tribes who have retained most of their traditions, lifestyle and lore. 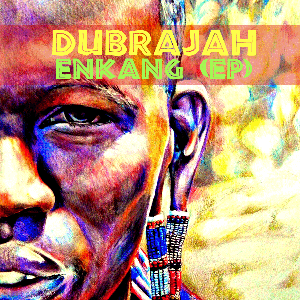 “Enkang” is also the name of DubRaJah’s EP, which was recorded in the period from Autumn 2013 till Summer/Autumn 2014 in Arusha (Tanzania), Stone Town (Zanzibar, Tanzania), Wete (Pemba, Tanzania) and Moscow (Russia). 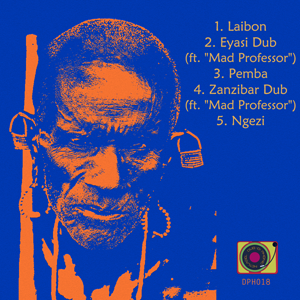 DubRaJah fuses a deep digital dub style with organic sounds, traditional African melodies and chants from the people of Maasai, Datooga, Hadza, Pemba and Zanzibar, incorporating also samples of Mad Professor on “Eyasi Dub” and “Zanzibar Dub”. Each track has is own magic, from the ritual chants in “Laibon” to the mystical beauty of the “Ngezi” forest, cleansing the body, the mind and the soul.